Airbnb are now launching out a new fee structure. This will be optional for hosts but Airbnb hope a high number of host will understand the benefits of this change and will hence decide to switch. As outlined below all the details of this new structure including an early adopter incentive offer. 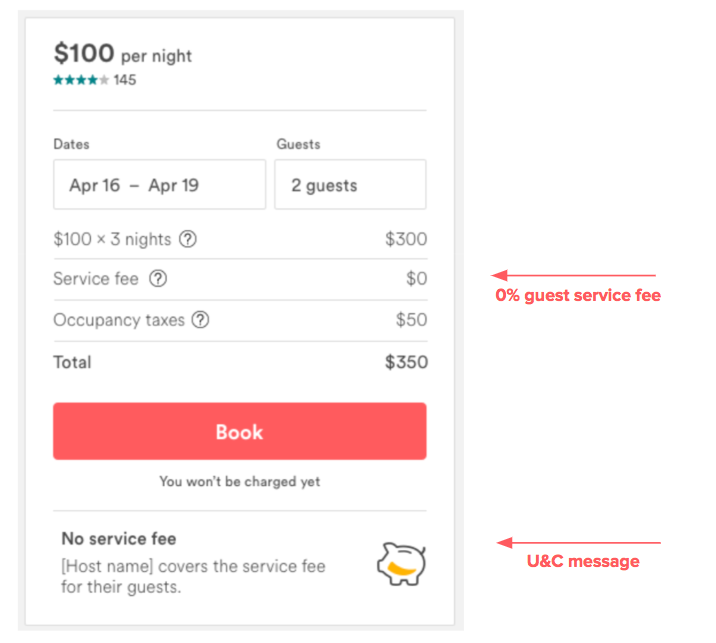 The new standard Fixed Fee format sets a fixed 14% host fee on nightly rates. This fee also includes payment processing costs, which can typically represent 2 to 3% additional on other OTA. This fee does not include any additional fees related to Super Strict cancellation policies (2% which is added separately). For a limited time only, to coincide with the launch and to help hosts transition and understand the benefit of the new fee structure, we are offering an “Early Adopter Program” with a reduced fix fee from 14% to 12%. How will it show on the front end? Should you have any further details, please reach by messaging Airbnb support in your Airbnb Host account.